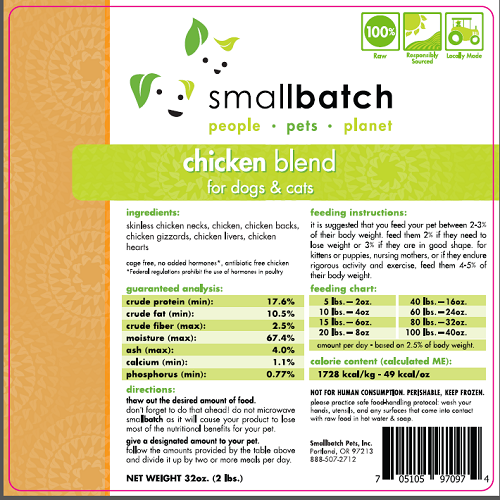 Smallbatch Pets Inc., of Portland, Oregon, is recalling two specific lots of its frozen bags of 2lb Chicken Blend (for dogs and cats) due to finding salmonella. The affected products were distributed to retail pet food stores in CA, CO, OR and WA and were sold between February 1st until May 5th, 2017. 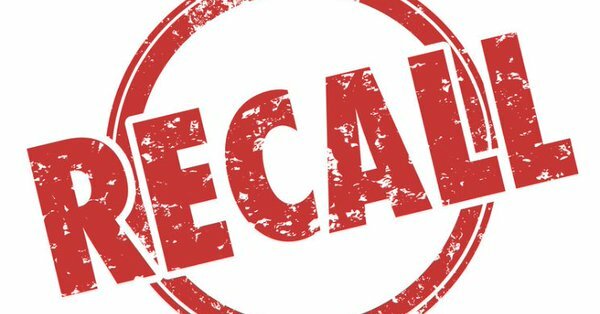 Consumers with these products may return the affected product to the place of purchase for a full refund or contact the company by calling 888-507-2712 or by email at info@SmallBatchPets.com.